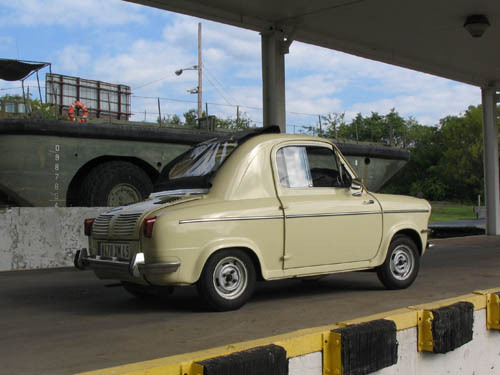 Vespa is known around the world for its scooters, but few people may know it produced one economy car. The company’s president felt that FIAT’s prominence in Italy should not be challenged, so the Vespa 400 was produced in France. 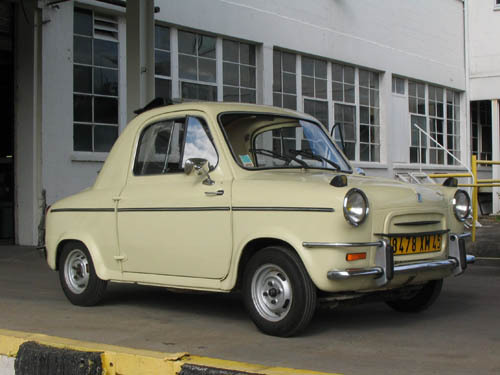 The four passenger coupe had a rolltop roof, all-independent coil spring suspension, and hydraulic brakes. You will find the Vespa in a totally different class from most other microcars. It is well finished and competed with the FIAT 500. The Vespa handles like a sports car and it did well in rallies, often winning the 500cc class. A few thousand of these cars were sold in the United States in the late 1950s and early 1960s–selling for about $500 less than a Volkswagen Beetle. 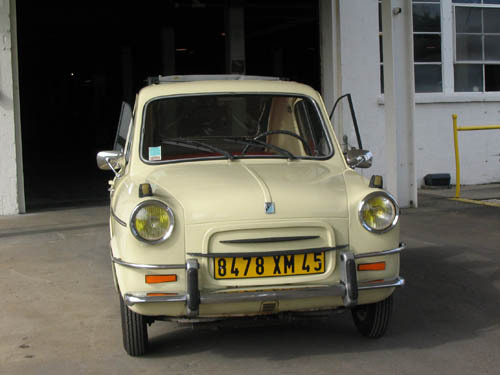 This car sold relatively well throughout the world, but production was cancelled in 1961 to concentrate on motorscooters.